The national credit default rates remain at a post-recession low. The risk of mortgage default is at its lowest level in nearly 10 years. Housing starts have increased over 28% in the last year. Builder confidence up in positive territory for the first time in 7 years. 850,000 more residential properties have returned to a state of positive equity. 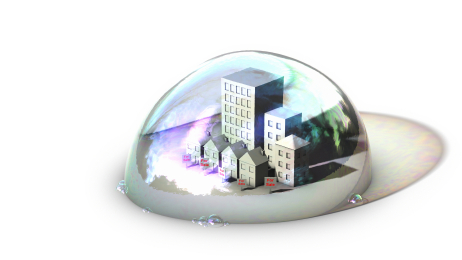 CoreLogic analysts say we are not headed into another bubble. “Double-digit price increases in some markets hard-hit by the housing crisis prompt the question, are we experiencing another housing bubble? While several factors are combining to push prices up right now, CoreLogic analysts say we are not headed into another bubble. ‘While our recent projected CoreLgic HPI indicates continued home price gains, bolstered by still-tight supply and strong demand, we expect recent double-digit gains to moderate as markets normalize,’ said CoreLogic’s president and CEO, Anand Nallathambi in the firm’s June Market Pulse. Committee for S&P Dow Jones Indices. “The first mortgage default rates remained at its post-recession low of 1.31% in May. Bank card rates were marginally higher while the second mortgage and auto loans were a touch lower this month. The second mortgage default rate hit a new low of 0.60% since the indices began in 2004. “Existing-home sales improved for the second month in a row in May, up significantly from a year ago, while the median sales price continued to increase by double-digit rates from one-year prior, according to data from the National Association of Realtors. On Wednesday, RealtyTrac® released a report showing that, as of June, owners had vacated 167,680 foreclosure properties nationwide, representing 20 percent of all U.S. properties in the foreclosure process. These foreclosures are in addition to 544,274 bank-owned homes nationwide that have been foreclosed on but not sold to a third party. Also, more than 650,000 homes in the foreclosure process have not been vacated by the homeowner but are likely to end up as short sales, foreclosure auction sales or bank-owned sales in the future, bringing total foreclosure-related inventory on RealtyTrac to nearly 1.4 million. “The risk of default for more recently originated mortgages is close to levels seen 10 years ago, according to the findings from the University Financial Associates (UFA) of Ann Arbor, Michigan. “New home starts on private residences have been teetering over the past few months, but rose 6.8% from the revised April estimate of 856,000, reaching 914,000 in May. Housing starts year-over-year increased 28.6% from the May 2012 rate of 711,000, according to data from the U.S. Census Bureau and the U.S. Department of Housing and Urban Development. “It’s been 7 years since the National Association of Home Builders/Wells Fargo Housing Market Index has hovered above an index score of 50. But that feat was finally accomplished on Monday with NAHB noting a new builder confidence index score of 52 for single-family homes – an eight point increase from the previous report. Zillow’s May Real Estate Market Reports show that national home values rose 0.5% from April to May. On a year-over-year basis, home values were up 5.4% from May 2012. The last time national home values were at this level was in July 2004. Rents were up 2.6% on a year-over-year basis. The Zillow Home Value Forecast calls for 4.1% appreciation nationally from May 2013 to May 2014. Most markets have already hit a bottom – with only 8 out of 253 not projected to hit a bottom within the next year – and 63 out of the 253 markets covered are forecasted to experience home value appreciation of 4% or higher. RealtyTrac® released its U.S. Foreclosure Market Report™ for May 2013, which shows foreclosure filings — default notices, scheduled auctions and bank repossessions— were reported on 148,054 U.S. properties in May, an increase of 2 percent from the 75-month low in April but still down 28 percent from May 2012. The report also shows one in every 885 U.S. housing units with a foreclosure filing during the month. Florida, Nevada, Ohio, Maryland, South Carolina have the highest foreclosure rates. CoreLogic® released a new analysis showing approximately 850,000 more residential properties returned to a state of positive equity during the first quarter of 2013, and the total number of mortgaged residential properties with equity currently stands at 39 million. The analysis shows that 9.7 million, or 19.8 percent of all residential properties with a mortgage, were still in negative equity at the end of the first quarter of 2013 with a total value of $580 billion. This figure is down from 10.5 million, or 21.7 percent of all residential properties with a mortgage, at the end of the fourth quarter of 2012.